There are literally hundreds of tripods out there to choose from. Whatever your needs, there is something here for you. There’s a lot to consider when it comes to purchasing a tripod. There are literally hundreds of tripods out there to choose from, and while you’ll be able to disregard some from your selection if they’re not suitable to the type of images you regularly take, you’ll still be left with a long list. See our guide to choosing a tripod. If you’re yet to own a tripod, fancy trading in your current tripod for a lighter model or maybe want a more robust one, we’ve suggested some excellent options. Whatever your needs, there’s something here for you. 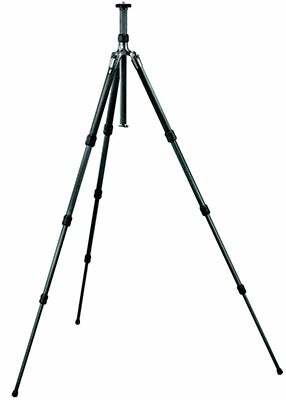 The Manfrotto 190 tripod series has been around for many years, but the 190 Go! marks the first time that Manfrotto has used rotational leg-locks instead of lever locks. The 190 Go! is also the lightest and smallest model to grace the 190 range to date. That said, it’s still robust enough to support an enthusiast-level DSLR and 70-200mm f/2.8 lens. Elsewhere, it features an Easy Link socket that can be used to attach accessories such as an LED light or reflector. The 190 Go! also comes with an adjustable centre column that can be set to 90° to help with creative angles, along with four individual leg angles that provide plenty of flexibility. 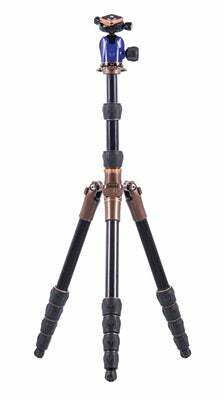 Gitzo is owned by the same parent company as Manfrotto and specialises in high-end tripods. 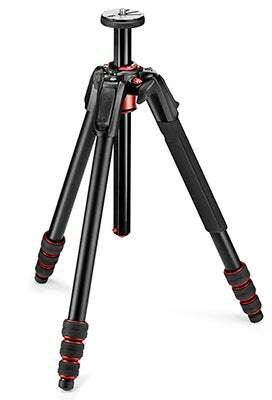 The GT1544T is designed for those who require a highly portable tripod that doesn’t unduly compromise durability or functionality. To this end, each of its leg sections are constructed from Gitzo’s bespoke 6x carbon-fibre weave, which ensures excellent rigidity, and helps keep the overall weight down. 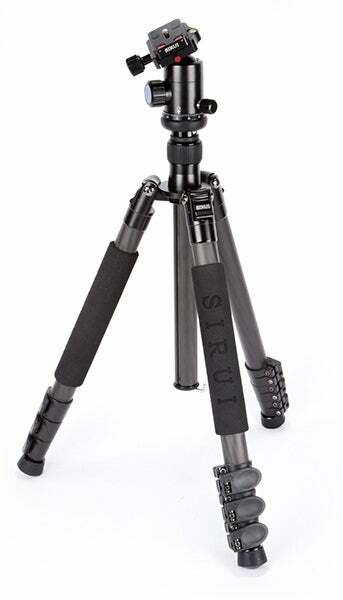 Gitzo’s patented leg-folding design allows each leg to be folded back by 180°, allowing the legs to wholly envelop both the centre column and a small tripod head (not supplied). It can bear up to 8kg, and has a maximum extended height of 142cm. 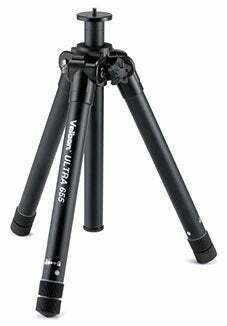 Velbon makes decent budget tripods, well suited to occasional use with lighter camera and lens combinations. The recently announced Ultra 655 is the flagship model in its ‘Compact System’ range and is perfectly adequate for a mid-range DSLR and standard zoom. It utilises Velbon’s proprietary Trunion Shaft System (TSS), in which each leg extends the entire inside length of the outer leg casing to provide a strong, stable maximum height of 154cm, along with an impressively compact 37.2cm when folded down. The lower portion of the centre column can be removed, allowing you to set the tripod to just 13.3cm with the legs fully splayed. The ET-2204 comes with an E-20 ball-head mount, and employs lever-style leg locks that are easy to open and close even while wearing gloves – handy on cold days. Each leg can be set to one of three angles: 21°, 52° and 81°, while a shorter centre column is also supplied, allowing you to shoot from a minimum height of 13.5cm. There’s also an equipment hook on the centre column, non-slip rubber feet and two foam leg warmers for easier use in cold or wet weather. The legs can be folded back by 180° to enclose the centre column and E-20 ball-head for a closed length of 43cm. Sirui also offers the ET-2004 in aluminium for about £100 less. 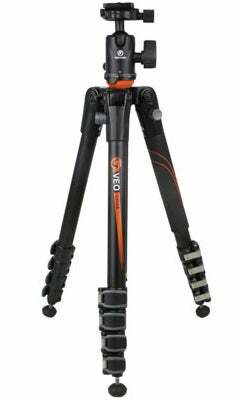 The Veo 204AB is a travel tripod, featuring a rapid rotation centre column design that allows it to be easily inverted without having to unscrew anything or remove it. This allows you to keep the ball head attached and to quickly set up and pack away the tripod. It also has robust lever-style leg locks, three leg angle positions, anti-slip rubberised feet with inset spikes, a rubberised carrying handle on one of the legs, and an additional shortened centre column for extra-low shooting – which all fits into a supplied tripod bag. The supplied TBH-45 ball head comes with a bubble level and panoramic markings around the perimeter. All in all, excellent value. The 3 Legged Tripod ‘Evolution’ range consists of four models: Brian, Roger, Steve and Nigel. While Steve is principally designed for studio use, the other three are billed as travel tripods. Roger is the cheapest, but remains modelled on the award-winning Brian. The main difference is that the Roger has magnesium alloy legs. You still get the same ultra-strong ParaLock twist-action leg locks with toughened TPR 80 Grips for all-weather use. And the Roger shares the same modular design as other Evolution 3 models, so you can add bespoke accessories and/or rearrange sections. You can even unscrew one of the legs and use it as a monopod.